Jean Dausset – French immunologist. A French hematologist and immunologist whose studies of the genetic basis of the immunological reaction earned him a share (with George Snell and Baruj Benacerraf) of the 1980 Nobel Prize for Physiology or Medicine, Jean Dausset was born on 19 October 1916, in Toulouse, France. Using the money from his Nobel Prize and a grant from the French Television, Dausset founded the Human Polymorphism Study Center (CEPH) in 1984, which was later renamed the Foundation Jean Dausset-CEPH in his honor. In his lifetime dedicated to research, his most significant contribution was the identification of human leukocyte antigens (HLA) and the genes that code for them. His research findings were considered to have had altered the existent understanding of the human immune system. Jean Dausset pursued his studies in medicine from the University of Paris and served the French army during World War II, during when he was introduced to human blood transfusions. After the war, he began his career in research on exchange transfusion, understanding immune haemotology techniques and observing leuco-agglutination and thrombo-agglutination. His work was centered on understanding the immunogenetics of blood cells. He was awarded the 1980 Nobel Prize for Physiology or Medicine for his independent discovery of ‘genetically determined structures on the cell surface that regulate immunological reactions’. With the prize money, he founded the Centre D’eute du Polymorphisme Humain. Jean Dausset was a member of prestigious professional societies like the National Academy of Sciences, American Academy of Arts and Sciences and the Académie des Sciences de l’Institut de France. Jean Dausset, in full Jean-Baptiste-Gabriel-Joachim Dausset, was born on 19 October 1916 at Toulouse in France. His father, Henri Dausset, was a physician who served as a captain in the army and his mother’s name was Elizabeth Brullard Dausset. He spent the early days of his childhood at Biarritz, France. When he was 11 years old, he along with his family shifted to Paris. He pursued his secondary school education from the Lycée Michelet and earned his baccalaureate in mathematics. After earning his baccalaureate in mathematics, Dausset was convinced by his father to study medicine at the University of Paris. Both of Dausset’s parents died just after he became an extern at the Paris Hospitals, at the age of 19. Dausset failed to pass an internship entrance exam at the Paris Hospitals and was preparing for a second attempt when World War II broke out. During the war, Dausset was sent to serve the French army and posted in North Italy for a year. In 1940, he returned to Paris and successfully passed his medical internship entrance examination. Jean Dausset married Rose Mayoral in 1963 and the couple had two children named Henri and Irène. Soon after passing his exams, Jean Dausset joined the Free French Forces in North Africa as an ambulance worker. He was originally stationed in Morocco but was later sent to the more active Tunisia. Dausset got his first taste of hematology when he had to perform numerous blood transfusions on wounded soldiers. As the war was winding down in 1944, Dausset returned to Paris where he worked in the Regional Blood Transfusion Center at the Saint-Antoine Hospital. During this period he initiated his first research project with Professor Marcel Bessis, who had developed the technique of exchange transfusion in adults and new born babies. In 1946, Dausset joined the National Blood Transfusion Center as Director of laboratories. He worked at the Center till 1963. While working here he focused on the immunohaematology methods for red blood cells and attempted to utilize these techniques for white blood cells and blood platelets as well. 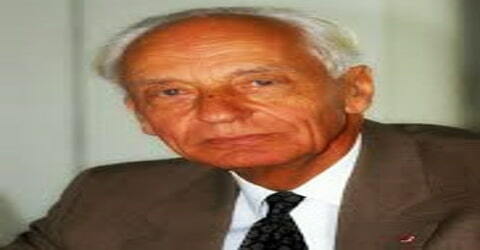 He conducted studies to confirm the existence of certain antibody types in the body. He conducted transfusions among volunteer patients and donors to understand immune responses. 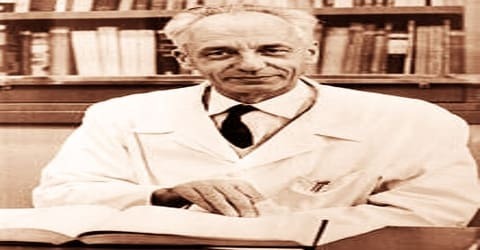 In the 1950s Jean Dausset began studying the severe reduction in white blood cells (leukocytes) that occurred in recipients of numerous blood transfusions. He found that cell loss resulted from the action of antibodies that selectively attacked the foreign leukocytes received through transfusion while avoiding the body’s own white blood cells. Dausset correctly hypothesized that these antibody reactions were stimulated by certain antigens, located on the surface of foreign white blood cells, that were later called human leukocyte antigens (HLA). These antigens proved to be extremely useful in determining whether tissues from one person might be successfully transplanted to another individual (a process, similar to blood typing, called tissue typing). Dausset also demonstrated that the HLA antigens are programmed by a highly variable gene complex that proved to be analogous to the H-2 complex in the mouse discovered by George Snell. Both systems came to be seen as types of the major histocompatibility complex, which functions in helping the immune system of all vertebrates to distinguish between its own cells and foreign substances that gain entry to the body. Dausset returned to France in 1952 and once again took up the position of an intern with Marcel Bessis. It was during this time that Dausset conducted his first official research. With Bessis, Dausset discovered the first antigen-presenting leucocyte, but it was only officially described in 1958. Between the years 1952 and 1957, he collaborated with many researchers such as Gilbert Malinvaud and Jacques and Monique Colombani. From 1952 to 1957, the majority of Dausset’s time went into developing techniques and developing further ways of confirming the presence of certain antibodies. He was made the head of research at Professor Georges Marchal’s immunohematology laboratory in the Broussais Hospital. During this time, Dausset performed blood transfusions between a voluntary donor and patients in order to further his research in the field of immune responses in the body. He was testing the ability of the antigen-presenting leucocytes in the recipient’s body, which came originally from the donor’s blood. In 1958, Dausset introduced the first leucocyte antigen MAC, which was later known as HLA-A2. He was serving as the Head of the Immuno- haematology laboratory at the National Blood Transfusion Center during the time. During the early years in the 1960s, he served as an advisor to the Cabinet of the National Ministry of Education for three years. He worked towards reforming medical college and university structures along with the introduction of a law for full-time employment and so on. His involvement benefitted both medical as well as educational systems in France. From 1960 to 1965 Dausset worked primarily on improving organ transplantation techniques and the mechanisms involved in enhancing the body’s ability to accept the new tissue. To do this, Dausset again used the blood of voluntary donors and patients to see what differences lay in the blood of the two individuals and how to minimize these differences. 1965 was a crucial year for research. There was intense competition amongst the researchers of the immunohematology field as everyone was on the brink of making a major discovery in the genetic and transplantation research. In 1958, Dausset also took up the post as Assistant Professor of Haematology at the Faculty of Medicine, Paris. In 1963, he was promoted to Professor and later appointed as the Head of the Department of Immunology at Hospital Saint Louis. Dausset continued his research in areas like anemia, agglutination as well as antibodies, and, in 1965, described Hu-1, the first tissue group system, which was later named HLA.8Until 1968 he contributed to the establishment of the Research Institute in Blood Diseases also serving as Assistant Director. Among the departments he handled was the research wing on Immunogenetics of Human Transplantation. He became the Director of the unit since 1968. In 1975, Jean Dausset suspected that his name had been entered in the nominations for the Nobel Prize. However, nothing came of this until February 1980, when rumours were circulating in the scientific community about his possible candidacy. At this point, Dausset was planning on going to Quebec, Canada to do a conference series throughout the province. He was in a dilemma because it did win, he did not want to be away from his family and colleagues, and yet, were he to stay in France, people would suspect that he was sure of winning and he might set himself up for disappointment. So instead, he decided to stay in Paris, but to stay out of the public eye. He was unsurprisingly awarded the Nobel Prize 1980, which he shared with Baruj Benacerraf and George Davis Snell. In 1977, Dausset was appointed as the head of the Immunology Department at the University of Paris. However, he retained his research activities at the laboratory in Hospital Saint Louis. In 1984, he founded a center for genome research Centre D’eute du Polymorphisme Humain (CEPH). Dausset utilized his Nobel Prize money for setting up this center. In 2003, after HIS retirement he became the President of CEPH. Dausset was a member of the French Academy of Sciences. He was also a professor at the College de France. Dausset was one of the influential foreign members of the National Academy of Sciences, USA, and an honorary member of the American Academy of Arts and Sciences. Dausset was a member of the founding Council and Vice President of the Human Genome Organization. Dausset received various prestigious prizes, such as the Landsteiner Award and prizes for the Koch and Wolf Foundations. He also served on the advisory boards of numerous research institutions. In his final years, he was the chairman of the France Bone Marrow Grafts Registry, an agency that assists in matching bone marrow among donors and recipients. The 1967 ‘Grand Prix des Sciences Chimiques et Naturelles’ (Académie des Sciences) was awarded to him. The same year Jean Dausset also won the ‘Médaille d’Argent du Centre National de la Recherche Scientifique’. Dausset was awarded the 1969 Grand Prix Scientifique de la Ville de Paris. 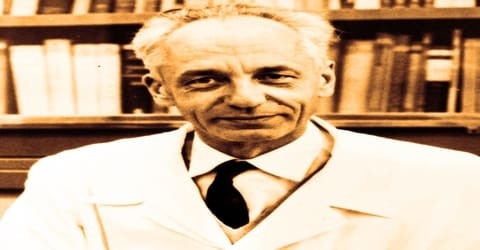 In 1970, the Karl Landsteiner Memorial Award by the American Association of Blood Banks was awarded to him. Dausset also received the Stratton Lecture Award that year. Jean Dausset was awarded the Robert Koch Prize in 1977. The same year he received the Gairdner Foundation International Award. 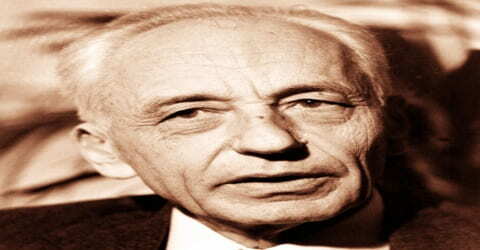 In 1978, Dausset was the recipient of the Wolf Prize in Medicine awarded by the Wolf Foundation in Israel. Jean Dausset was the joint recipient of the 1980 Nobel Prize in Physiology or Medicine along with Baruj Benacerraf and George D. Snell. The trio won the award “for their discoveries concerning genetically determined structures on the cell surface that regulate immunological reactions”. Jean Dausset died on 6 June 2009, in Majorca, Spain, at the age of 92. Dausset’s autobiography, Clin d’oeil à la vie (“A Wink at Life”), was published in 1998. In his honor, the CEPH center was renamed as the ‘Foundation Jean Dausset-CEPH’.